Come explore downtown Springfield! You’ll find dining, arts, culture and shopping. Dining: Dining in downtown Springfield can be as simple as a deli sandwich or as extravagant as braised rabbit. Whether it’s breakfast, lunch, dinner or something in between, you’ll find a surprising variety of cuisine. Enjoy Italian, Japanese, Thai, Ethiopian, Mexican, Chinese and classic American fare along with award-winning microbrews, local baked goods, coffee, ice cream and other sweet treats. Arts & cultures: Browse our galleries, world-class community performing art center and stunning street art. You can also join the 2nd Friday Art Walk every month. Shopping: From knick-knacks to designer brands, antiques to home décor and bicycles to specialty foods, Springfield has a wide variety of unique shops. 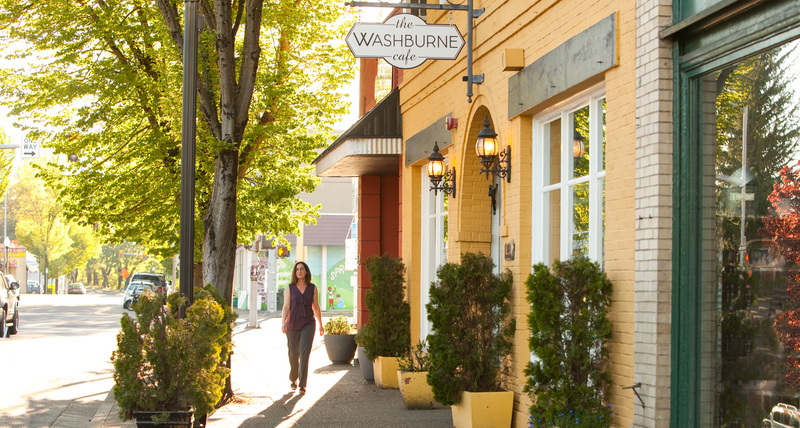 In Springfield, we believe in shopping local and supporting local business.